Antanas Cerniauskas (b. 1934), Lithuania, masters athlete, prepares his victory throw. 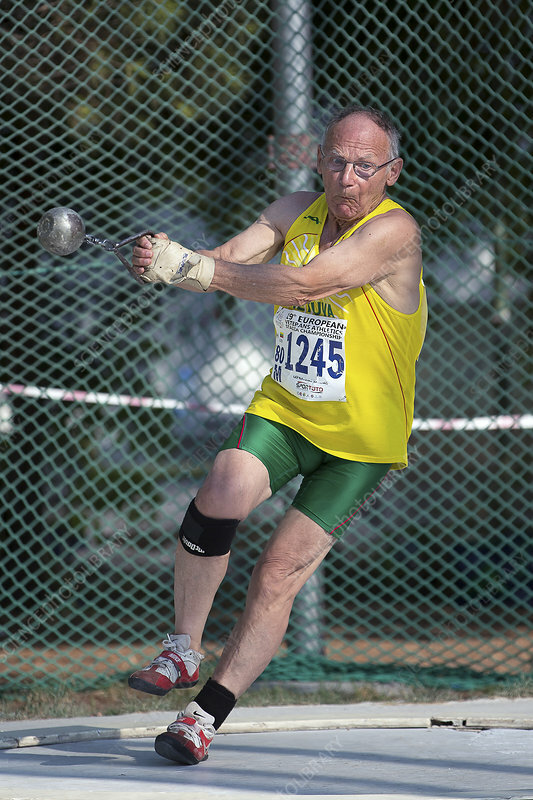 He was competing in the men's hammer throw event, 80-84 year old age category. Photographed at the European Veterans' Athletics Championships in Izmir, Turkey, August 2014.